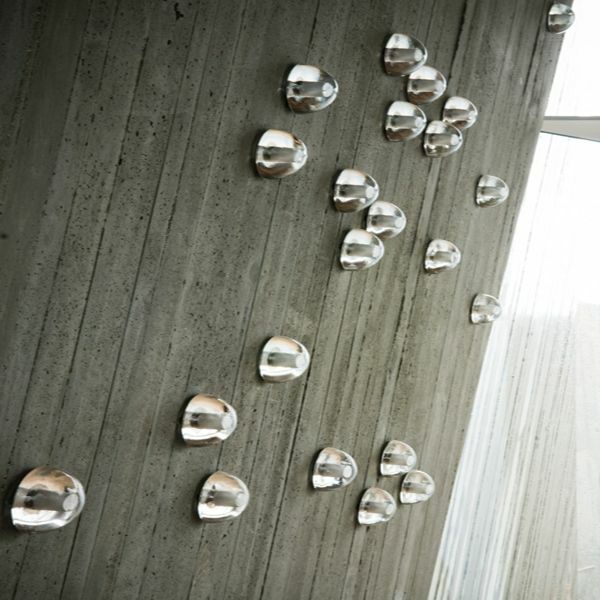 Product information "14s Surface Mounted light"
The 14s surface mounted light was designed by Omer Arbel and produced by Bocci. It is an articulated cast glass hemisphere with a frosted cylindrical void that houses a 10 watt xenon lamp. Each piece of the 14 pendants is uniquely hand made via an organic process of casting. Light interacts with the bubbles and imperfections of the cast glass to produce a glow reminiscent of small candles floating within a hemisphere of water. The 14s is suitable for wall and ceiling use in residential and commercial purposes. They are decorative, functional and appealing as accessory lighting in living rooms, hallways or as decorative lighting in building lobbies and other spaces. Specialty: Products are NOT available for customers in UK, US and Canada! Dimensions in inch (WxHxD): Ø 4,2" x 2.01"
Related links to "14s Surface Mounted light"